6 for $90.90 total Need more quantities? Use this low-growing variety for filling in spaces at the front of perennial beds and borders. Its charming, reddish purple blooms dangle above the mat-forming foliage in spring. Leaves turn brilliant crimson in autumn. This is the true Geranium, not to be confused with the annual Pelargonium one sees everywhere in summer. Perennial Geraniums are lovely plants that grow in full sun or partial shade (required in the South and the warmer areas of the West) and need soil with good drainage. For more information on growing Geranium, click on Growing Guide. Geranium is a variable genus of hardy perennials that offers up profusely blooming plants for many situations. The lobed foliage can be as interesting as the flowers, which come in vibrant as well as more subdued shades of true blue, lavender, pinks and white. These plants bear little resemblance to the tender container plants known as Scented Geraniums, Zonal Geraniums, and Martha Washington Geraniums (these belong to the same family, but a different genus, Pelargonium). Light/Watering: Light shade to full sun in the North and part shade in the South will allow these plants to reach peak performance. Most adapt well to short periods of dry conditions, and all respond to regular watering. Geranium sanguineum and its varieties tolerate drought, especially in cooler climates. Fertilizer/Soil and pH: Geraniums thrive in average, well-drained soils that are slightly acid to neutral and will benefit from a light application of balanced, granular fertilizer in early spring. Short, dry periods are tolerated by most. Pests/Diseases: No serious pests or diseases occur in this hardy group. Companions: Good complements include Catmint (Nepeta), Lilies, Gas Plant (Dictamnus), Delphinium, and Shasta Daisies (Leucanthemum x superba). Reflowering: With the exception of Bigroot Geranium (G. macrorrhizum) and Bloody Cranesbill (G. sanguineum) varieties, Geraniums have a tendency to sprawl after bloom. Cut plants back hard, to 2-3 inches above soil level, after the first wave of bloom. 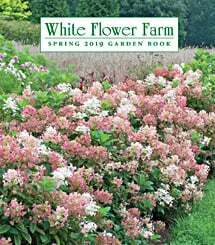 They will respond with a fresh crop of foliage that looks attractive through the season, and possible sporadic reblooming depending on variety. Dividing/Transplanting: Cranesbill rarely needs dividing; it is possible with some plants to separate out divisions and replant in spring or early fall. Transplant with care in early spring. End-of-Season Care: Cut back in autumn after several killing frosts, if desired. Early Spring: Apply a light application of balanced or slow-release fertilizer or side-dress with compost and organic amendments when new growth appears. Supplement nitrogen during periods of prolonged rain to counter natural leaching. Water well if it is unseasonably dry as most prefer an evenly moist soil. Transplant now, if needed, and in some varieties, small pieces with roots may be removed from the edges of the plant for propagation. Mid-Spring: Taller or sprawling varieties benefit by support with brushy twigs or interwoven, slender stakes. Late Spring: Water if extended dry periods occur. Summer: Groom plants by removing yellow or dead leaves. If plants are overtaking their allotted space, cut back to three inches; the new foliage will look lovely for the rest of the season.